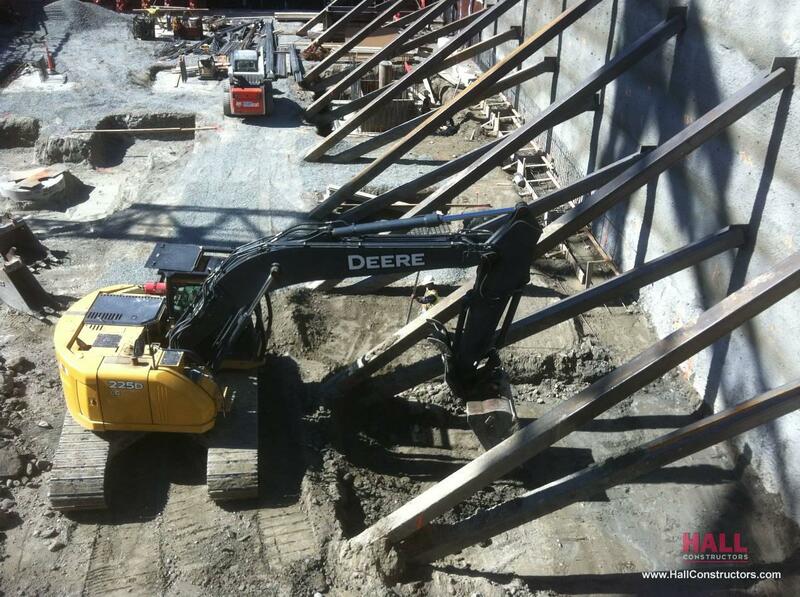 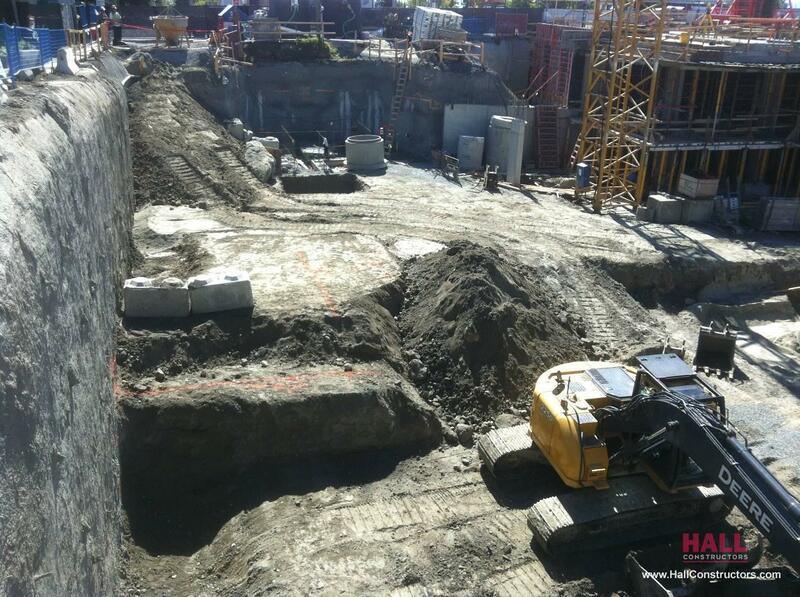 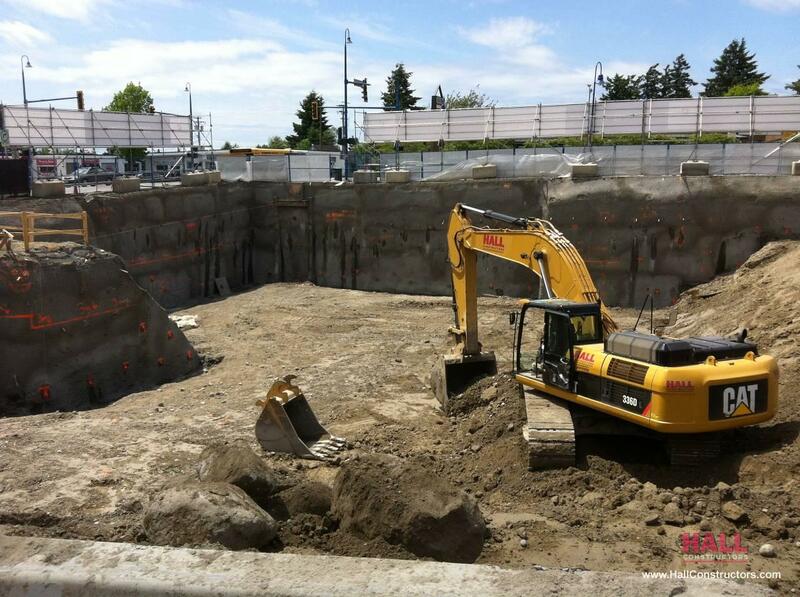 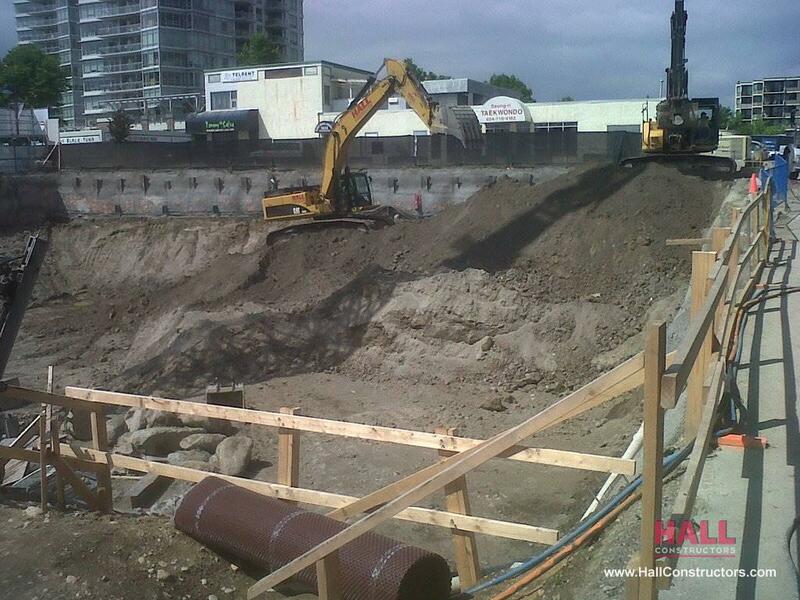 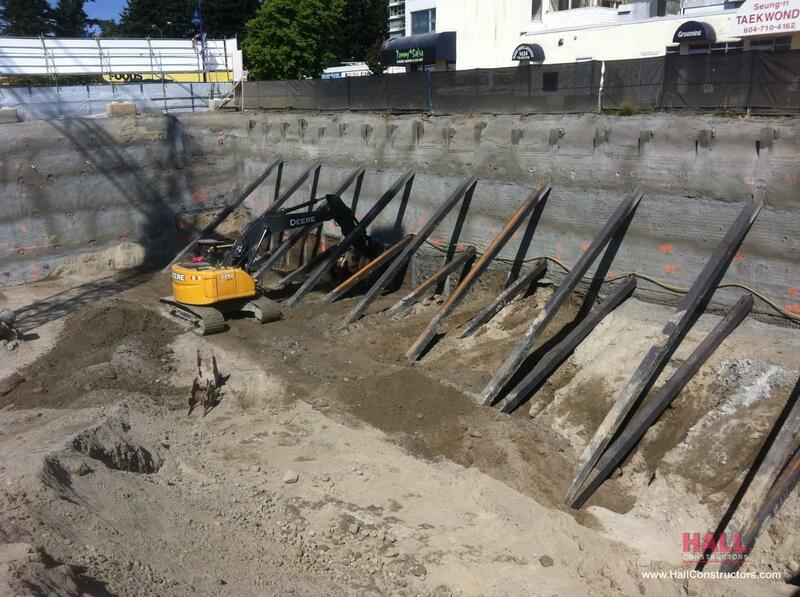 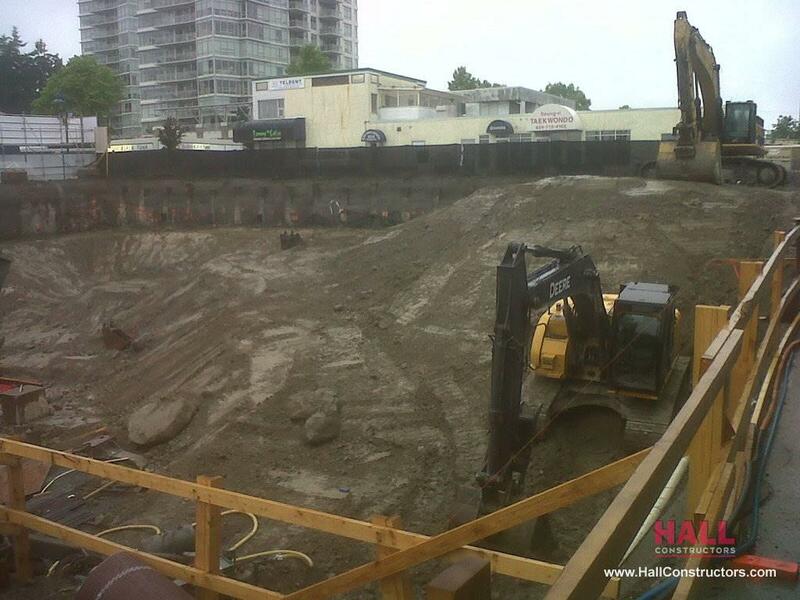 The construction of this new mixed-use residential development in White Rock, BC was managed by Macron construction, with the excavation and shoring completed by Hall Constructors. 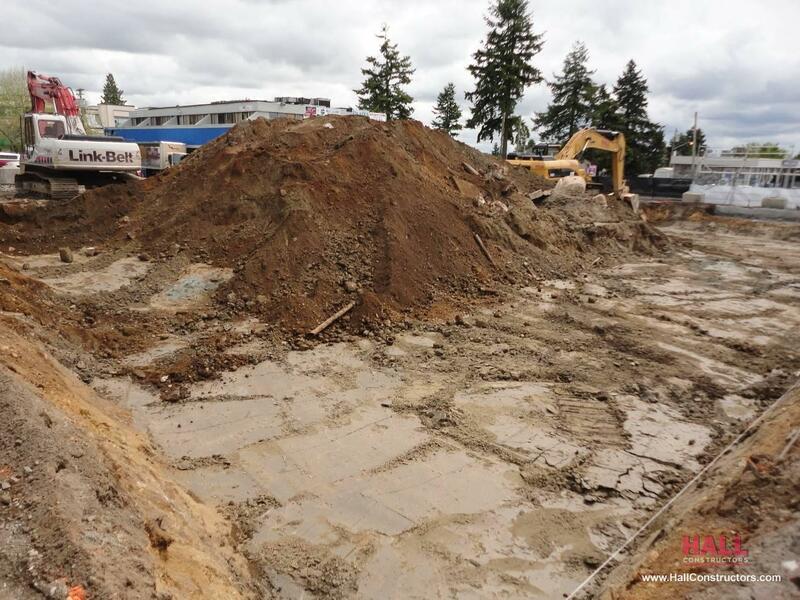 Contaminated soil was encountered at the outset of the 14,000 m3 excavation and sent to a remediation facility for proper disposal. 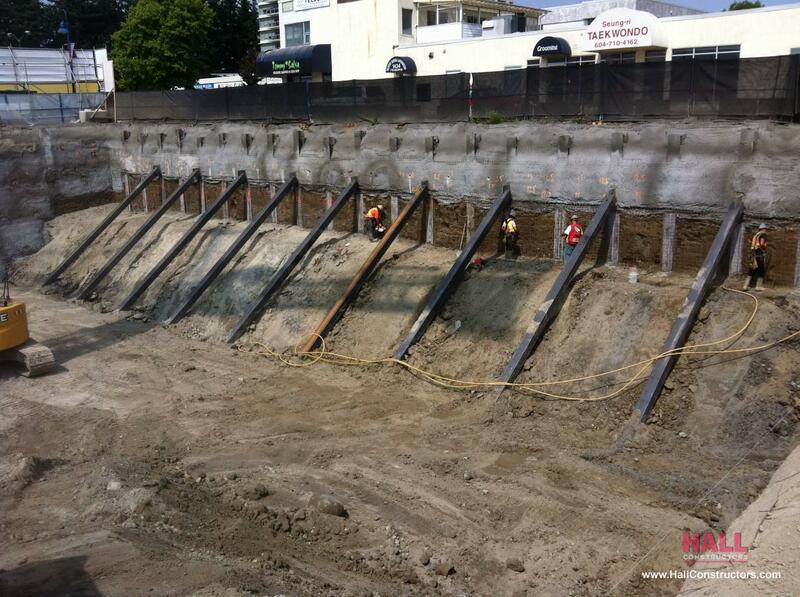 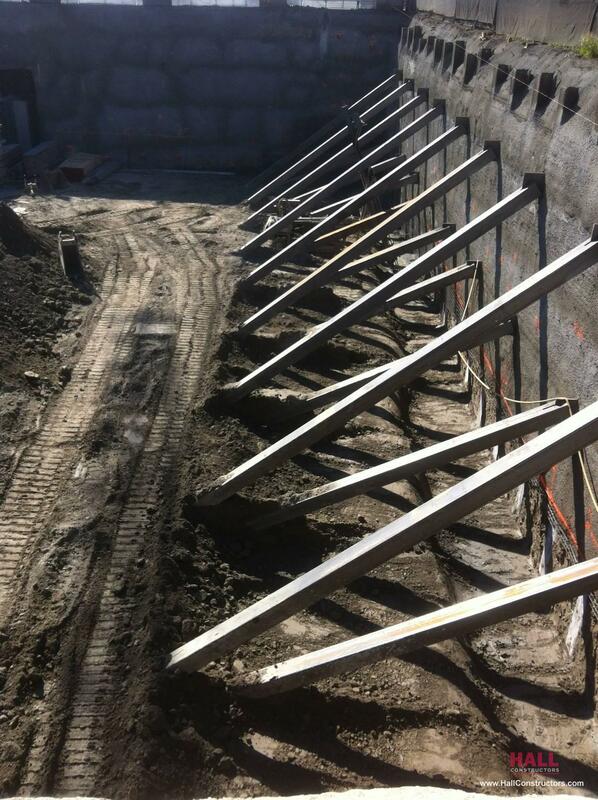 The features of this project were the raking shores and pile driving, which were implemented for one wall where conventional shoring was not possible.